The Summer Heat: Considering we do not have air conditioning in every building quite yet, I am glad that this really hot weather held off until the end of the school year. 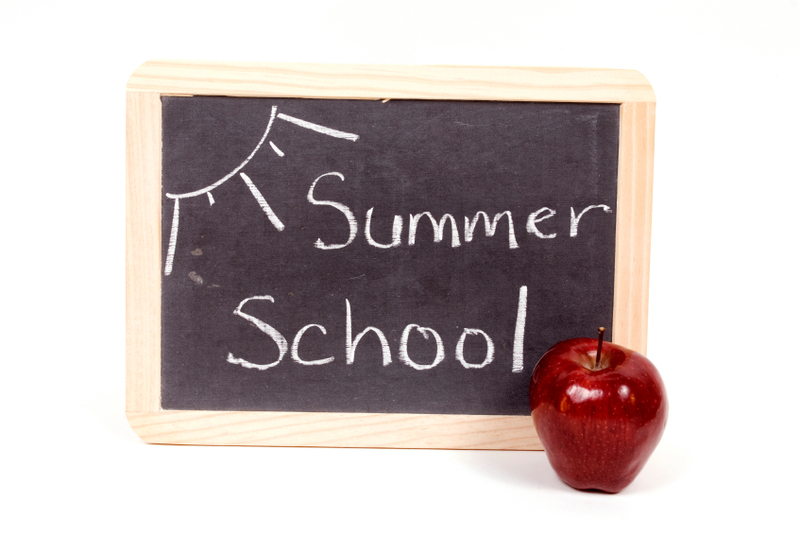 As summer school and outdoor summer camps through the Town of Camillus and other organizations begin, be sure to make sure that your children are hydrated, have sunscreen, and know when to "pack it in" if the temperatures are too warm. 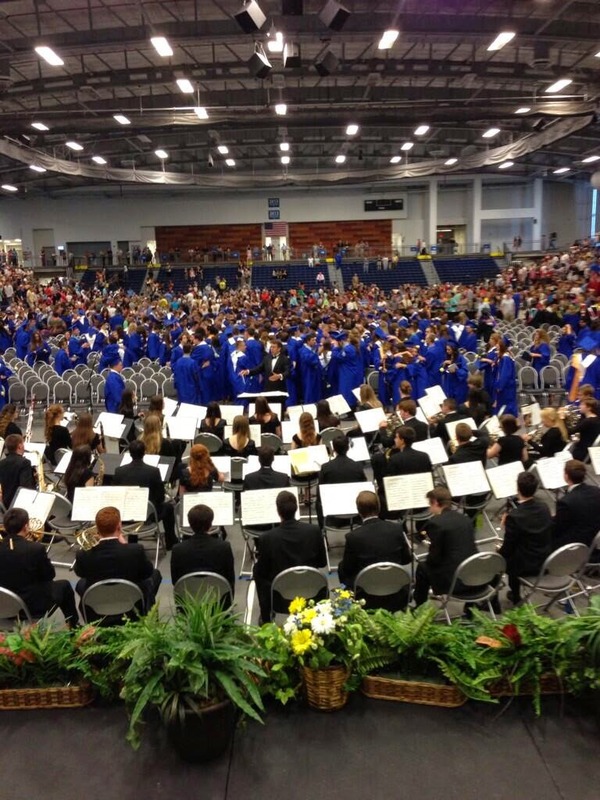 If your children are not attending something that is sponsored or officially run by the West Genesee Central School District, take the time to ask what their temperature and relative humidity policies are. We follow very strict guidelines provided by Section III athletics and backed by our school physician. Summertime camps are fun and can be kept that way if everyone exercises common sense! National Recognition for Communication: I want to thank all of you who take the time to read this blog, follow our Facebook page, and connect with me via Twitter. 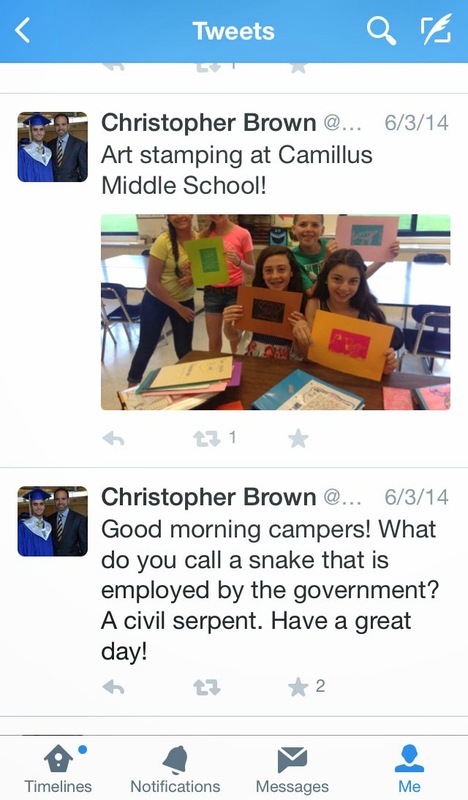 The National School Public Relations Association (NSPRA) recently recognized this blog with an award of "Excellence" which is the highest award possible. Our Facebook and Twitter pages both received a designation of "Honorable Mention". While I write this blog, there are people behind the scenes who make sure it looks good on every device, is organized properly, and grammar and spelling is checked thoroughly before being published each week. I would like to give special thanks to Bonnie Russell who wears many hats for us, as well as Sharon Seeley and Karen Piccioni in the District Office for their help each week. For those who have enjoyed the joke of the day on Twitter, I am wrestling with a few different themes for next school year. I didn't realize how many people read the joke first thing in the morning until I posted the last one on Friday and got an overwhelming reaction! The joke that got the most positive reaction over the course of the school year was: "What do you call a fake noodle? An impasta". My favorite part of posting those jokes was visiting a first grade classroom at East Hill and having a young man tell me that his dad reads my jokes to him every morning. I innocently asked him if he liked the jokes, and he replied "not really". The truth hurts! Board of Education Meetings: On Wednesday night we will have what is called our Re-organizational Board of Education Meeting before our regular meeting. At the regular meeting the high school administration presents graduation statistics, passing percentages, advanced designation rates, CTE endorsements, etc. An advanced look at the data shows we did quite well. I was most interested to see how our students did with the new common core aligned Algebra regents compared to past Algebra regents. 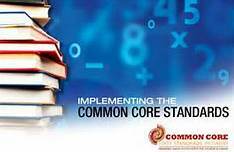 We have been doing a lot of work with our internal math institute re-configuring our curriculum to meet the challenges of the new standards. I knew that the state would probably curve the new exam so that the results would be similar to previous years, but in my mind we exceeded that curve, especially in the areas of eighth graders taking the exam as well as our students with disabilities population. All of our eighth graders (100%), AS WELL AS, all of our students with disabilities in our 1:15:1 program passed. This tells me that our curricular changes are working as these results are well above the state curve and are unprecedented for West Genesee. We need to work on our mastery (percent of students receiving an 85% or higher) levels and that work will continue over the summer. If you are interested in the results of our data, please plan to attend the presentation being given on Wednesday night. The presentation will also be uploaded to the Academics section of our website after the meeting. I feel we are in a good position headed into the next school year. I am going to take next week off from the blog and try to get away for a couple of days before buckling down for the rest of the summer. I hope that you enjoy this warm weather and I will catch up with all of you soon. Each year around graduation time I can't sleep, have trouble eating, and run off a lot of nervous energy. I always want everything to be perfect for our students and families at graduation; after all, it is the last time that the students are together as a group. We have used the SRC Arena at Onondaga Community College for a second year now, and I am very happy that we made the change. Our graduation was wonderful. It fills me with pride to be the first person to shake the hands of our graduates as they come across the stage to receive their diplomas. Equally fun for me, is my vantage point when the graduates all throw their caps into the air and celebrate being graduates. 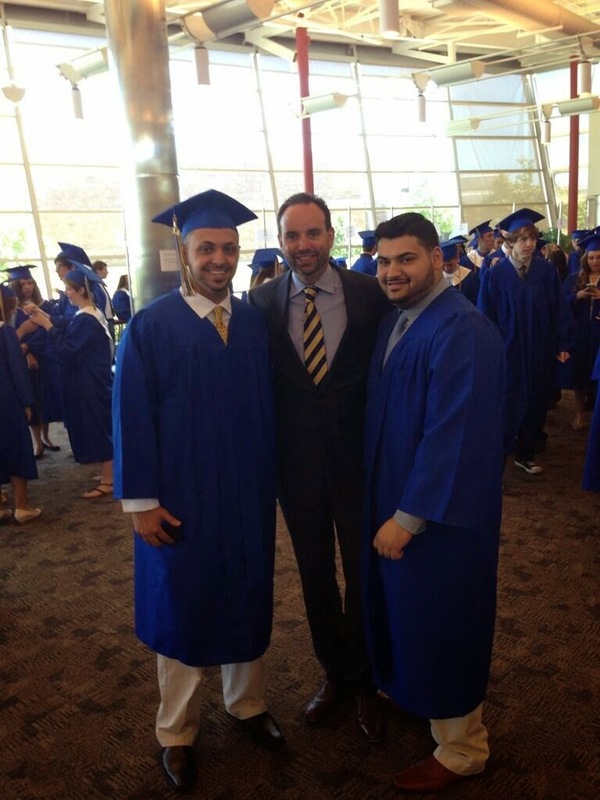 I then get to mingle with families and see many former graduates, moms, dads, grandparents and relatives. Thanks to the nearly 5,000 people who attended and helped make this event so special. I hope that you found the ceremony to be joyful. I am semi-excited about next year. 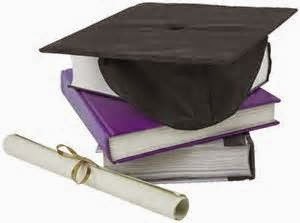 My youngest son graduates next year which will leave an empty nest, so I hope the year will go forward in slow motion! This week features the completion of exams, several elementary moving up ceremonies, and final paperwork for the school year. I intend to give each student one final goodbye for the summer, as we get things ready for what will surely be a busy summer. Enjoy the weather, the week, and your family. If you follow on Twitter, this is the last week for the joke of the day as well. I never knew how much of a challenge it would be to find a clean, 140 character joke for each day this year! The one and only nice thing about the state testing our kids too much is that their schedule pushed our graduation ceremony date out past Father's Day weekend. I have not been able to really enjoy Father's Day in six years, but thanks to an extended Regents testing week we are graduating a week later. It is important to focus on the positives! I had a wonderful Father's Day weekend with my family and that was much needed and appreciated. The landing gear is down and the runway is in sight. Our school year is nearing an end and while it has gone quickly, it has been another great year for the history books. Last week we held our annual senior athletic awards night, and I was impressed by how many team scholar award winners we had as well as how many All-American designations and full scholarships to various colleges and universities have been received. Good stuff! I also want to thank our high school students for their behavior during the last week of classes. They are often encouraged to "do something" by the media. However, as the final bell of the last day of classes rang out at the high school, students spent time thanking staff, figuring out study schedules, and smiling. 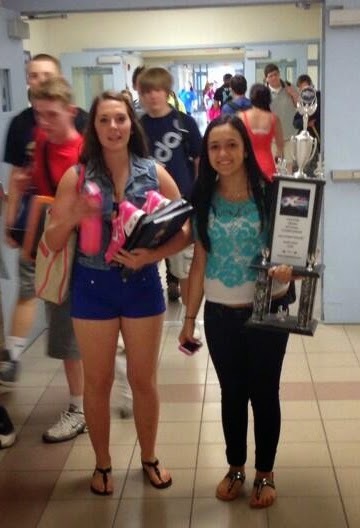 They were not thinking about pranks and other things that give their school and themselves a bad name. I am very thankful to our students for the respect they show to their classmates, faculty, staff, parents, and community. Thank you! I will spend this week finishing up my graduation speech, getting into buildings, and preparing to land this plane that we call the 2014 school year at West Genesee. Have a great week! 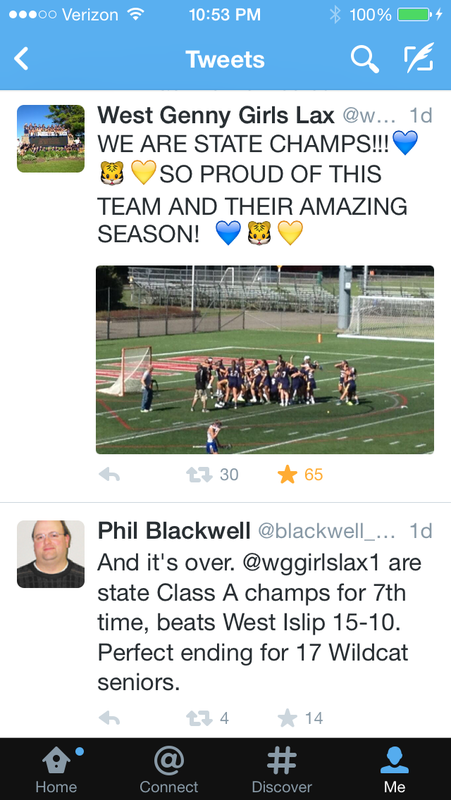 Girls Lacrosse Wins Again! : She shoots, she scores! 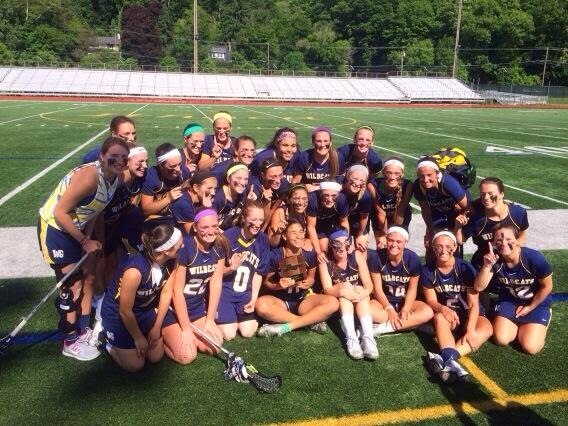 What a great ride for the girls varsity lacrosse team. A group that was denied access to the state championship last year due to an unexpected early exit from sectionals, came back this year with a "Wildcat" roar this year and dominated their way to their seventh New York State Championship. Role models on and off the field, this particular group of young women wear the West Genesee name with pride, determination, grit, and character. 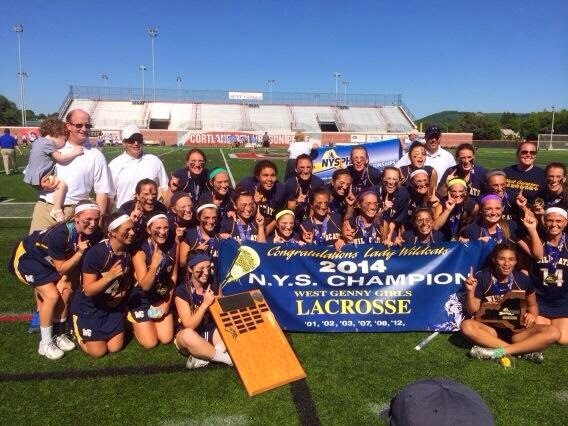 This championship places the girls lacrosse program, under the leadership of coach Bob Elmer, just shy of the halfway mark to the boys lacrosse NYS championship total of 15; in a quarter of the time. At this rate the girls will be putting some pressure on the boys and that friendly internal competition should further elevate both programs! I could not be happier with this group. Well deserved! Media Coverage: I would also like to publicly thank reporter Phil Blackwell as well as the Syracuse Media Group for their coverage of the girls sectional and state finals in all classes. I am usually frustrated at how little coverage girls sports gets over boys sports, but this year there was a concerted effort to provide some balance and I appreciate the coverage as a superintendent and someone who wants to see ALL students get some recognition for their accomplishments. Thank you. Awards and Scholarships: Earlier in the week we held the high school Senior Awards Program which was as impressive as ever. Well over a hundred students received over $500,000 in awards and scholarships from colleges, the military, community organizations, and memorials established by local families. I am very appreciative of the generosity of our community and very proud of the students and their hard work as they were awarded for their efforts. 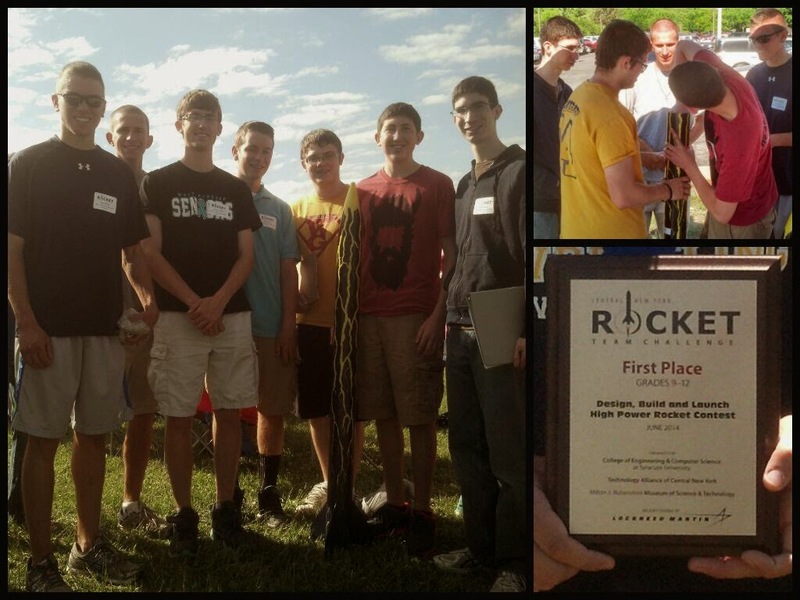 Seniors Soar at Rocket Challenge: I was keeping an eye on Twitter this weekend and our Career and Technical Education program (CTE) had a large group of students compete in a rocket building and flying competition in the CNY Rocket Building Challenge. One of our teams (S.N.A.G.R.) received first place! Nice work! Capital Project Update: As the school year wraps up and we inch closer to graduation, we are learning that the New York State Education Department is significantly behind in approving Capital Projects. Surprise! How far behind are they? Well, right now it looks like the initial phase of our project will be approved sometime in August if we are lucky. That will allow us to begin work around October which is about five months later than we would have liked. My bald spot might be bigger by the time we get going, but at least we have a project in the hopper. 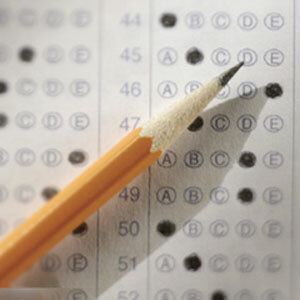 This week is the last week of classes at the high school before we head into Regents week. It is tough for me to wrap my head around that. Very busy week during the evenings but hope to see you soon. What a weekend! I think I legitimately hurt my hand playing Kan Jam on Saturday night but it was well worth it. It finally feels like late spring, and I think I can speak for many when I say it has improved my mood! Kaleidoscope Rocks: If you were one of the approximately 1,700 to attend Kaleidoscope on Friday you were treated to some spectacular fine arts performances. For those unfamiliar, Kaleidoscope features each performing group in our high school Fine Arts program, plus soloists and small groups. 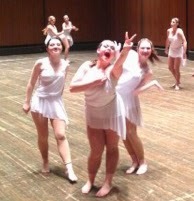 We take over the Civic Center and each group performs with no breaks in between performances. Incredible is an understatement. I usually sit in the audience for the show but this year I decided to remain backstage and help the students get into position for each number. That was a real treat. Not only could I hear everything really well, I was actually able to stand just out of view next to the main curtain and watch all the performances from up close. The one thing that struck me was the poise of each performer as they headed to the stage. 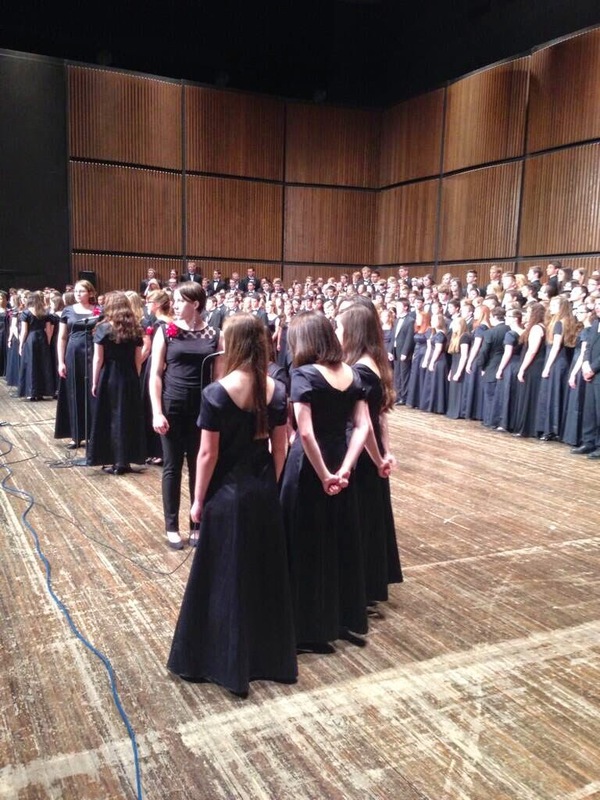 Even the soloists were joking and relaxed before they went out in front of such a large crowd. I took some great candid photos that I uploaded to my Twitter account if you get a chance check them out. The coolest part was listening to the audience gasp in awe when the curtain came up for the finale and all 430 of our performers were on stage! Next year is the forty year milestone and I am already looking forward to the performances. Athletics Update: On Saturday our girls lacrosse team began their quest for their seventh New York State lacrosse championship in dominant fashion, defeating Ithaca High School. They now move to the New York State semi-finals this Friday with the State Championship game being held next Saturday. I am very proud of this group as they seek to put an exclamation point on a great season. Individual to watch? I would have to go with eighth grader, Carly Benson. Competing at the highest level of girls track, she has already broken the school record for the 800m with a time of 2:14.50 and the second fastest National 8th grade time to advance to State competition. She has four more whole years of competition left. Olympics? This week will be as busy as last week for me and chances are good if you have a child in school then our paths will cross in some way, shape, or form. Enjoy the good weather and that we are only three weeks away from graduation!